Experience the R-LINE, an eco-friendly approach to urban transportation. This FREE circulator service features hybrid electric buses that will connect you to restaurants, retail, entertainment venues, museums, hotels, and parking facilities in downtown Raleigh. Buses run approximately every 15 minutes so whether you’re a resident, employee or visitor, it’s a great new way to get around downtown. 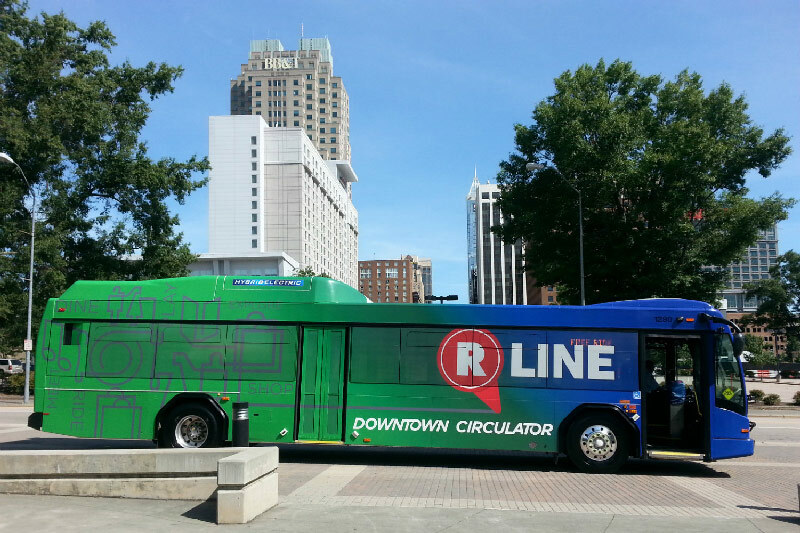 The next time you’re taking in downtown Raleigh, be sure to take the R-LINE. For questions or comments, call the GoTriangle Call Center at (919) 485-RIDE or learn more about GoRaleigh Transit from the City of Raleigh.